The picture displayed for this item is a picture of the BarTender Enterprise Automation and may not be of this part number. 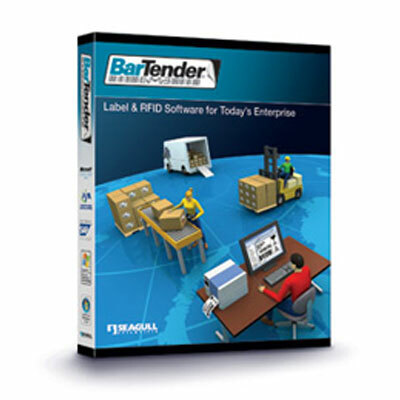 For a complete product description, including technical specifications, warranty information, and additional models please visit the main BarTender Enterprise Automation page. • Commander: Allows you to control BarTender from other applications without writing code. Commander activates BarTender to print when a specified "trigger event" is generated by the controlling program. • History Explorer: Lets you view logged information about past label jobs, including images of the labels and any print job messages that may have been generated. • Reprint Console: Gives you access to logs of previous label jobs and lets you quickly and easily reprint past jobs, or even just portions of past jobs.